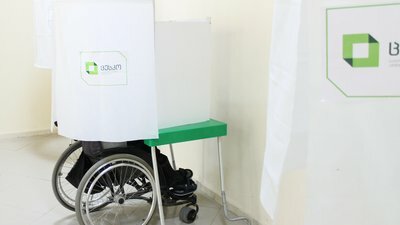 Georgians with disabilities act as voters and election observers, conduct interviews with local media, and assist election officials in developing inclusive elections. 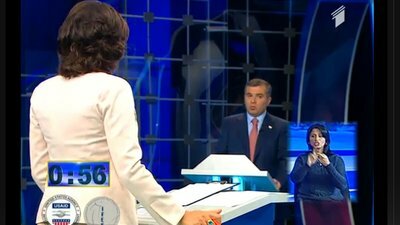 In late 2013, a Georgian television program aired a political debate with a Georgian sign language interpreter available for Georgians who are deaf or hard-of-hearing. 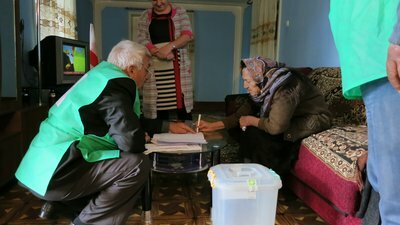 In 2013, a voter uses a mobile ballot box to cast her ballot. 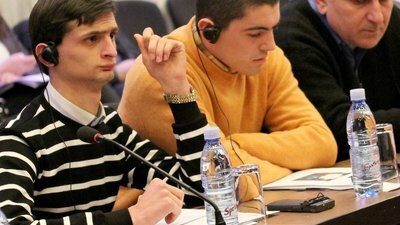 Students from Georgia University record a civic education textbook about the electoral rights of Georgian citizens (including citizens with disabilities). 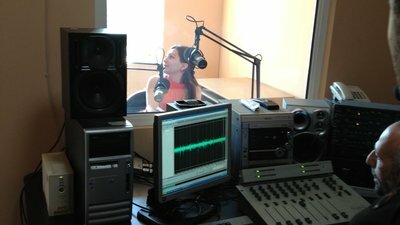 A Georgian voter is interviewed by journalists outside of a polling center on election day in 2012. 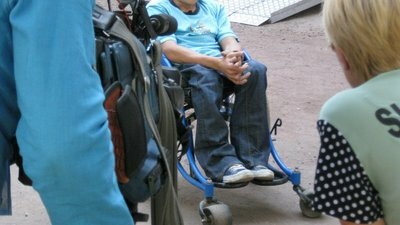 Georgian citizens attend a conference on electoral rights for persons with disabilities.